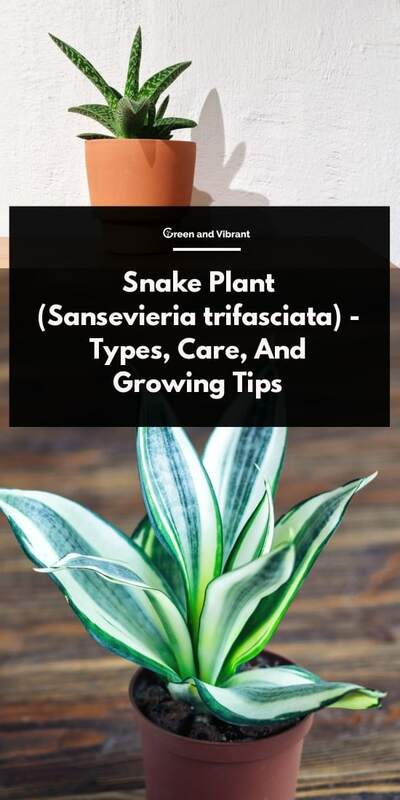 The Snake plant, which is also known as “mother-in-law’s tongue” due to its characteristic of being a tough plant, or the “bowstrings hemp” due to the ability to make bowstrings from the fiber of its leaves, is biologically known as Sansevieria trifasciata. The Snake plant is a herbaceous, evergreen, mildly toxic flowering plant that is native to Africa and Asia. People mostly use it as an ornamental plant. It thrives well in small pots. This is because in a small space, its rhizomes are crowded and this enables it to grow faster. It is well known for its capacity to purify the air by converting harmful substances into harmless ones. 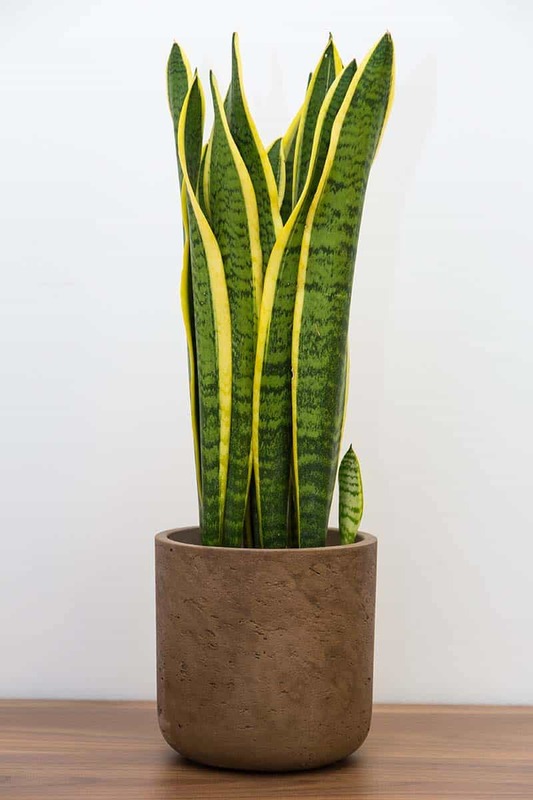 The Snake plant reproduces from underground structures that are known as rhizomes. Plantlets grow from the rhizomes, and they are separated from the main plant to develop independently and become mature plants. 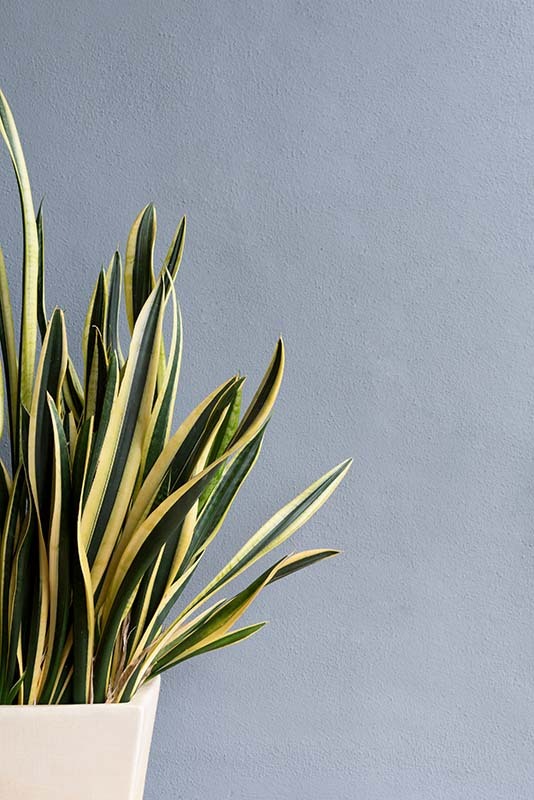 Though the Snake plant is tough, it also requires some easy care. With occasional maintenance, it can have a long lifespan and provide with a lively decoration. 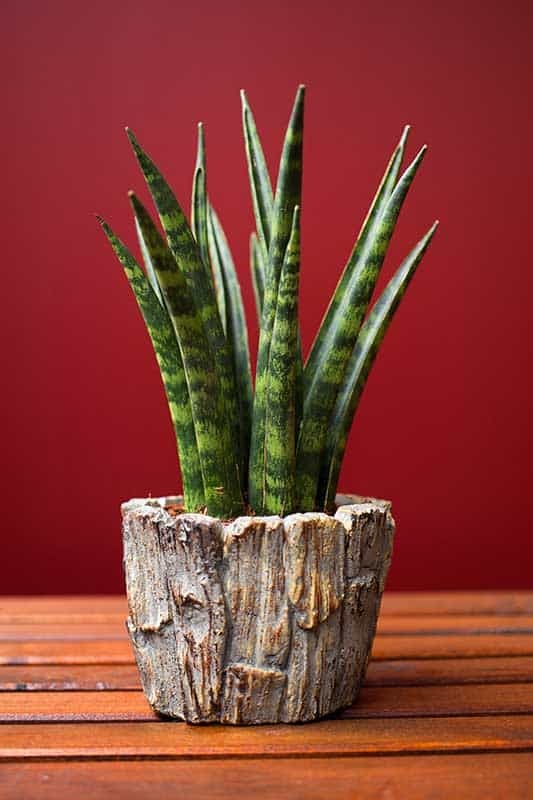 Sansevieria trifasciata is recognized majorly as a plant with green-yellow leaves. However, it has a variety of cultivars to choose from, depending on preference. They are distinguished based on the leaf color. This is the shortest variety. The leaves are silvery green with dark green stripe. wider leaves and is shorter in height. People grow Snake plant from cultivars. You can grow it indoors or in a garden. While growing it indoors, you’ll need a strong pot – a clay pot, for example. This ensures that the roots don’t break it as they grow. It should be wide but not tall, due to the plant’s shallow rooting system. The pot should be perforated for proper drainage. The medium used to grow the Snake plant should also be well drained to avoid waterlogging since too much water can rot the plant. The Snake plant requires maximum indirect sunlight. You should also keep the plant away from drafts, high winds, and extreme temperatures. You’ll also want to feed it with diluted fertilizer for easy absorption. The ratio of application should be 10:10:10 most preferably at planting. While growing it in a garden, the area of cultivation should be well drained and with an optimum ph of about 4.5 to 7.5. It should be planted in a partly shaded area but with enough light. Shading ensures that the Snake plant does not become waterlogged if there is a heavy downpour. Poor lighting makes the plants weak, and they won’t appear as green and lovely as they should be. It’s best to apply outdoor fertilizer in liquid form and in a similar ratio to the indoor plant. You should also weed regularly to prevent competition for resources, such as nutrients, between the Snake plant and the weeds. The Snake plant requires little water to survive. You should only water it when the soil in the pot is completely dry. Check it approximately once every two weeks. Extreme temperatures cause the leaves to scar, and too much water causes the roots to rot. 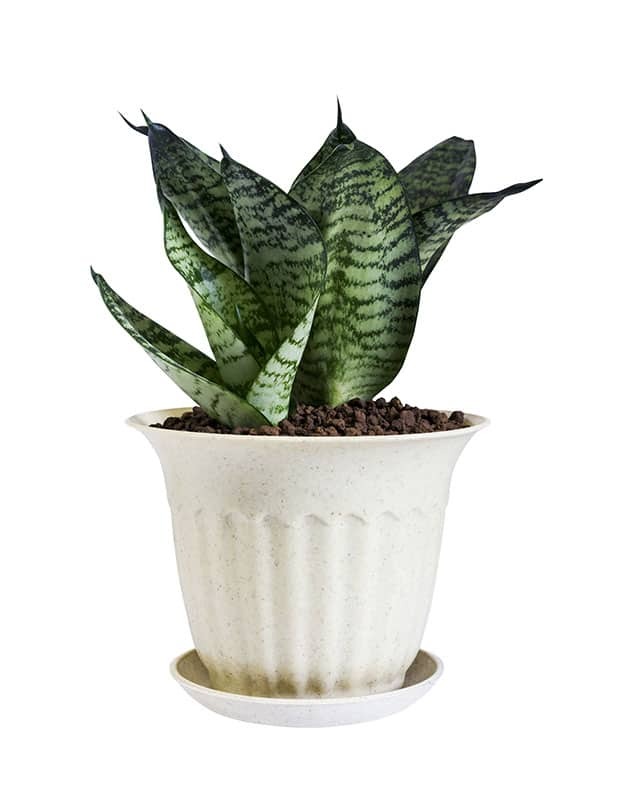 The Snake plant should therefore, be grown in well-draining soils and mild temperatures. The Snake Plant can adapt very well. It can withstand full sun conditions, but it prefers and thrives in indirect sunlight and grow light. This makes it ideal for growing indoors. Indoor artificial lights like Fluorescent bulbs which exist in any offices and houses can give this plant enough light to live healthily. However, to make it grow faster and more vigorously, you'll need more light intensity and duration. Propagation of the Snake plant can be through seed propagation, cuttings, and division in water. Seed propagation is the easiest mode where seeds are planted in the soil or medium and left to grow. It is, however, not commonly used because seeds take longer to germinate. You can harvest cuttings from the main plant by taking healthy leaves and planting them in soil to grow. They grow roots (in this case, rhizomes), which multiply as the plant grows. Division in water involves the cutting of a grown leaf and soaking it in water. After a few weeks, the leaf will produce some roots. You’ll need to change the water every couple of days. The Snake plant flowers have a green to white color. Moths pollinate them outdoors. These plants are known to produce very few seeds after fruiting. Once a shoot blooms, it does not produce flowers anymore and instead, it produces little plants which grow at the rhizomes. The major pests that affect the Snake plants are mealybugs and spider mites. They feed off the plant by sucking sap from the leaves. This, in turn, causes wilting and eventual drying of the plant if you don’t control them. They also cause injuries to the plant, and this makes them susceptible to diseases and more pests. You can control mealybugs by manually handpicking them from the plant and dabbing them with alcohol. You can control spider mites by washing them off the plant using water and increasing the humidity around the plant. Increased humidity derives the spider mites away. The Snake plant is mostly affected by fungal diseases, which mainly occur due to the presence of moisture on the leaves of the plant. They include southern blight and red leaf spot. The two diseases are characterized by the presence of sunken lesions on the leaves that are reddish brown. White web-like growths are also visible on the leaves. These growths later turn brown and harden. You should take prophylactic measures where fungal infections are likely to occur because fungal infections can cause a plant to rot and eventually die. There are certain methods you can use to keep your Snake plant from developing diseases. They include keeping the leaves dry, proper watering where the soil has to be dry from the previous watering, and using of soils that drain well with average temperatures. This is as a result of too much watering or waterlogging the garden. Excess water leads to the explosion of the plant cells within the leaves, and this causes bloating and odor. You should remove the affected leaves and correct the water problem before it affects the whole plant. Brown leaves might also appear crunchy. This is a sign of not watering the plant. Remove the brown leaves and correct the problem by watering the plant whenever the soil around it is dry. Brown tips on a Snake plant can indicate inconsistent watering or too much watering. Don’t remove the tips, though, as this leads to scarring of the plant. Instead, adjust the watering schedule and let the plant recover on its own. This is caused by too much touching of the leaves or brushing against them. The Snake plant has very smooth leaves and if left in open areas where people are passing by or children are playing, scarring will be inevitable. Likewise, any rough handling of the Snake plant will cause it to scar. The air has many components including oxygen, carbon dioxide, dust and other gases. Some are poisonous when inhaled. For instance, the air contains harmful gases such as trichloroethylene, benzene, formaldehyde, xylene and many more, which are lethal to the body once inhaled. Trichloroethylene causes dizziness, irritation, headaches, and in severe cases, comas. Benzene causes eye irritation, increased heart rates, and unconsciousness. Formaldehyde causes swelling of the lungs and larynx in severe cases. Xylene causes heart, liver and kidney problems among others. The Snake plant removes these harmful toxins from the air by filtering them. Crasulaceacen Acid Metabolism is one of the major reasons why people fancy using the Snake plant in their bedrooms and bathrooms. Plants utilize carbon dioxide during the day and oxygen at night. Placing too many plants near your sleeping area is always discouraged because the plants could use up available oxygen and lead to suffocation. However, the case is different where the Snake plant is involved. This plant releases oxygen into the air at night by converting carbon dioxide to oxygen, which in turn, people breathe as they sleep, and this leads to an increased supply of fresh air. 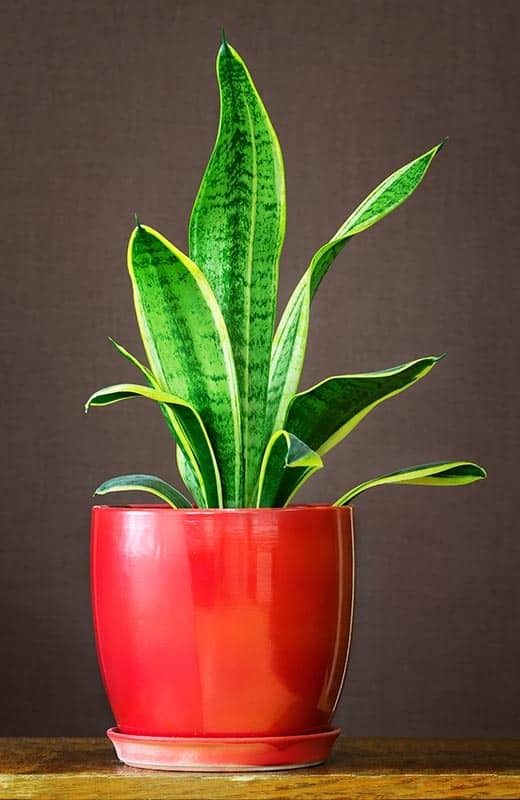 This property of the Snake plant has been used to cure Sick Building Syndrome due to its constant supply of oxygen. A foul scent in the house can be uncomfortable. For example, when you paint a room, the smell can be unbearable, especially to kids in the house. The presence of Snake plant in such a room cleans up the air, so that you can paint or use other strong chemicals more safely. The Snake plant yields fiber of high quality from its leaves when they dry up. You can harvest the fiber by soaking the leaves in water for three weeks and then pulling the leaves apart. People use the fiber for making craft jewelry, ropes, and bowstrings. 1. How can you increase the humidity around the plant? Planting several plants together in a pot can help raise humidity for the plants and ensure that they don’t lose much water. Double potting also maintains humidity. To do this, place the potted plant in a larger pot. Fill in the space between with peat. Keeping the peat moist at all times will help maintain humidity. You can also keep a humidifier in the room where you’re growing the plants, and it will help maintain the humidity of the plants. 2. Can I use chemicals to control diseases? No, you should not use chemicals for Snake plant diseases. The diseases of the Snake plant arise from either overwatering or inconsistent watering. You can wash the leaves in rubbing alcohol, but the most beneficial treatment will be adjusting your watering schedule. Make sure the soil drains properly and empty the catch saucers after the water drains. Otherwise, the water will soak back up into the soil and lead to overwatering the plant. 3. 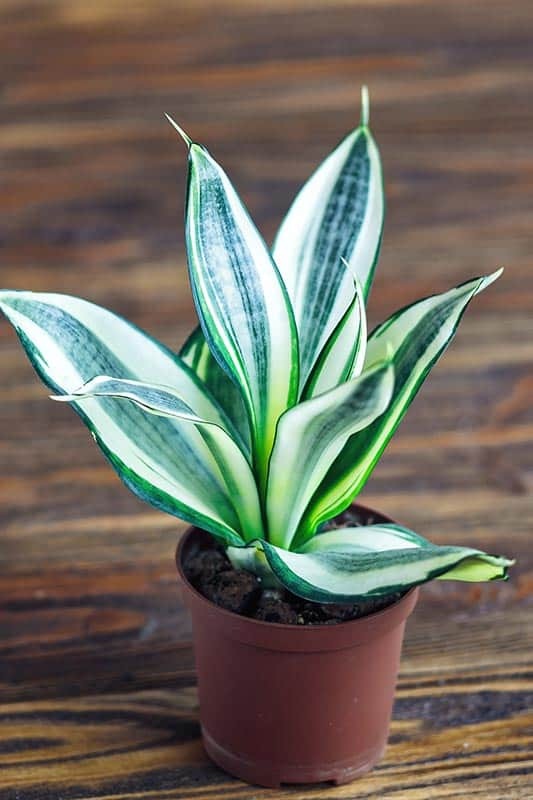 Is the Snake plant toxic? The Snake plant is mildly toxic. It contains a poison that can cause swelling and numbness on the tongue when taken in high doses. Though it is a good source of fiber, you shouldn’t eat the Snake plant. Keep it away from children and pets that might be tempted to nibble on it. 4. Why are the leaves of my Snake plant drooping? Drooping of Snake plant leaves is caused by overwatering. If the leaves are drooping, then the amount of water is too high. Reduce how often you water it or how much water you use at one time. Never water the Snake plant unless the soil is completely dry. If the soil stays too wet for too long, the roots will rot and the plant will die. If only the leaves are drooping, let it dry out, and it should perk back up after a couple of days. A Snake plant can make an easy decoration while also providing significant health benefits to your home, office, or public area. You can take care of it by making sure that it gets enough indirect sunlight and doesn’t get too much water. 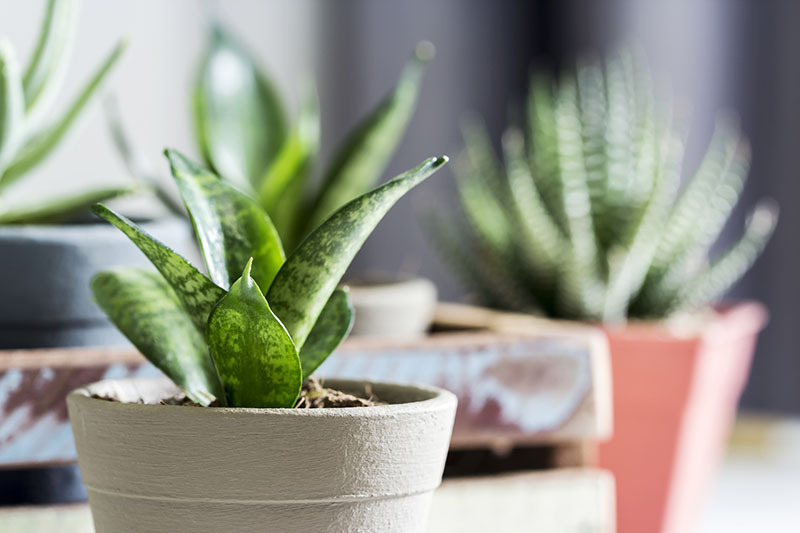 You can grow one Snake plant and then add more to your indoor décor or landscaping by splitting it or taking leaf cuttings.